On Sunday I went along to at the Mary Katrantzou show which can only be described as and explosion of colour, ruffles and print. The collection began with muted hues (purples, maroons and blacks) going into the typical Katrantzou bright neons (think acidic tones of yellow, blue and pink). Playful cuts in the form of baby doll's and strapless numbers contrasted with ruffles and embellishment. Everything felt so happy and positive, full of colour and a real joy to the eyes. 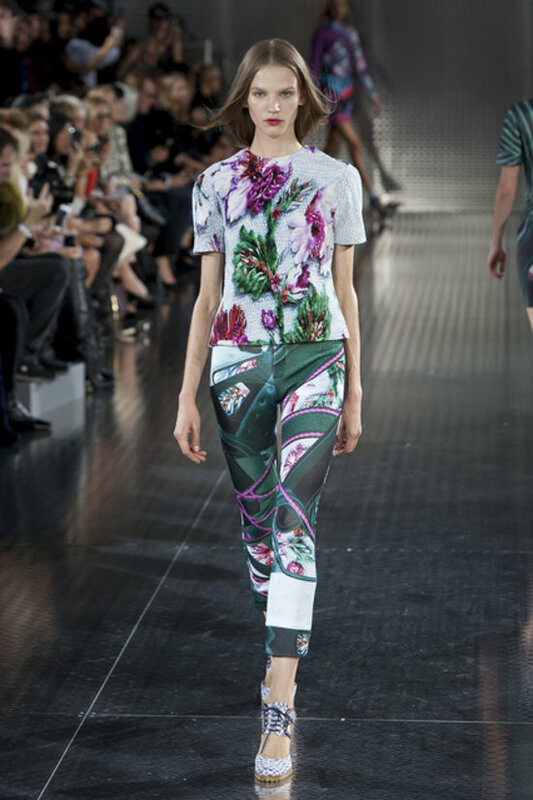 Mary Katrantzou is the queen of all things print, she just gets it so right. It's surreal, unique and tantalising and really is one of the must watch shows at LFW. I also went backstage with St.Tropez to take a look at how St.Tropez is being used behind the scenes at these kind of events. The models were prepped with gorgeous slightly bronzed legs with a hint of colour and shimmer which was the perfect compliment to the bold prints. It really made the skin look flawless, warm and even, St.Tropez Instant Tan Wash Off Face & Body is the ultimate beauty kit essential. The tan really compliments outfits and really finishes a look things off beautifully. St.Tropez Instant Tan Wash Off is perfect for popping in your bag and being on the go. The colour is natural, it dries in seconds and looks exactly like a real tan. It's also a great temporary tan which can wash off easily with soap and water. Having said that the best part about it is that its completely waterproof and doesn't run at all. So you don't have to worry about having streaky legs if you get caught in the rain! Oh wow, I've not used st tropez for years event though it was the first tan I tried, I love the look of these and the fact that it's water proof is genius! i love mary katrantzou's work! so jealous you saw the show! Mary Katrantzou sure knows how to use colour! 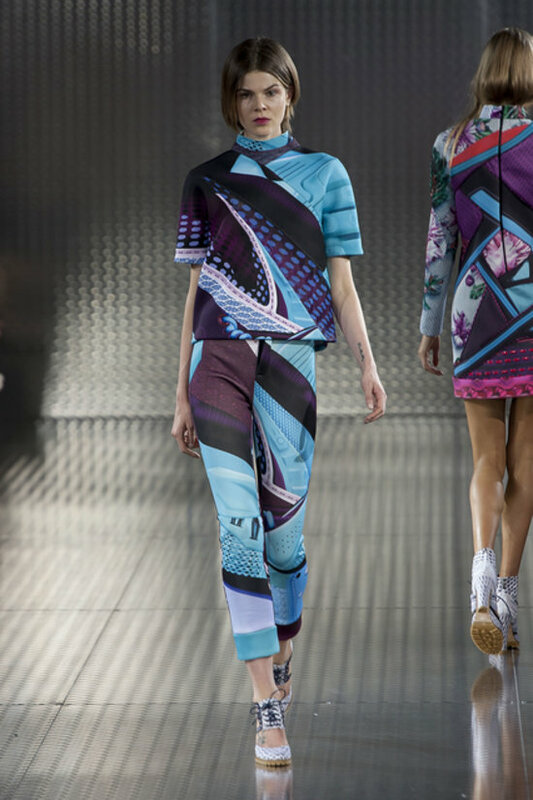 Ahh Mary Katrantzou does prints so fantastically well! I'll definitely be purchasing this! Such a useful product - even for nights out in the autumn/winter. I love all the prints! I real want to try that I never want to fake tan since I feel like it will take ages to dry! Aw I'm so excited to see you doing things like this, such good opportunities! Not really a person for fake tan, but I do think I will actually go and give this one a try once my natural tan fades away from holiday! Loved the video Lily, these are definitely products I need in my life!! Wow, so many colors!! I'm not a huge fan of spray tan, but this looks fantastic! !